This was the powerful message from Head Girl Phoebe Emburey, delivered at a Senior School Assembly to launch Sydenham High’s Anti-Bullying Week activity. 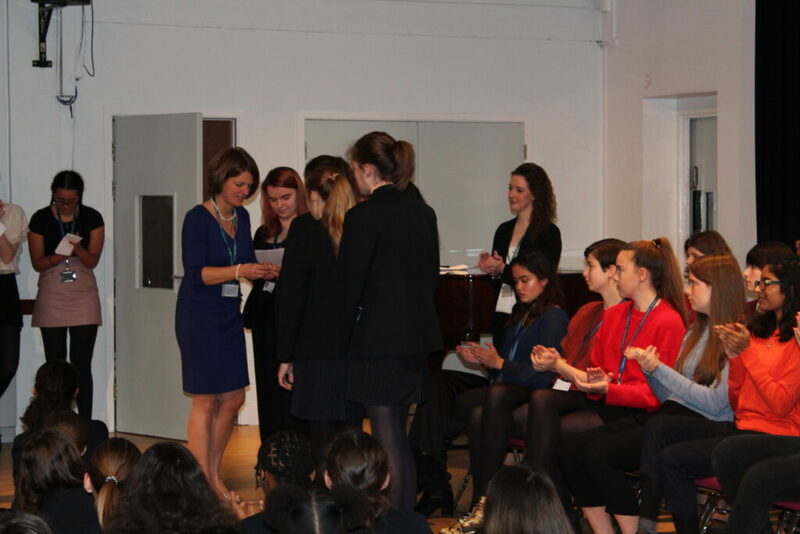 The Sixth Form-led assembly took this year’s theme #All DifferentAll Equal as its central theme, focusing on the recent Eastenders storyline, which involved cyberbullying as well as face-to-face school bullying of one of the main characters. The sixth formers also contrasted this negative use of social media with the positive ways it could and should be used. 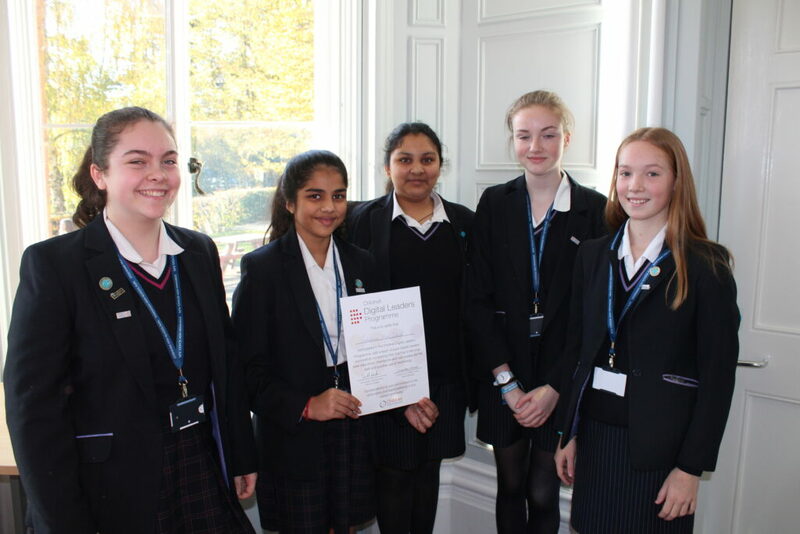 At the end of the assembly, Headmistress Katharine Woodcock, handed out certificates to the school’s senior digital leaders – Aine, Jessica, Sophia, Zoe, Alisa, Emily and Deeya – in recognition of their achievement in completing online safety training. Thursday’s tutor time sessions were also focused on cyberbullying to enable all students to recognise it, identify which actions cross the line and then ensure they would know how to find help if they were worried about something they experienced online. 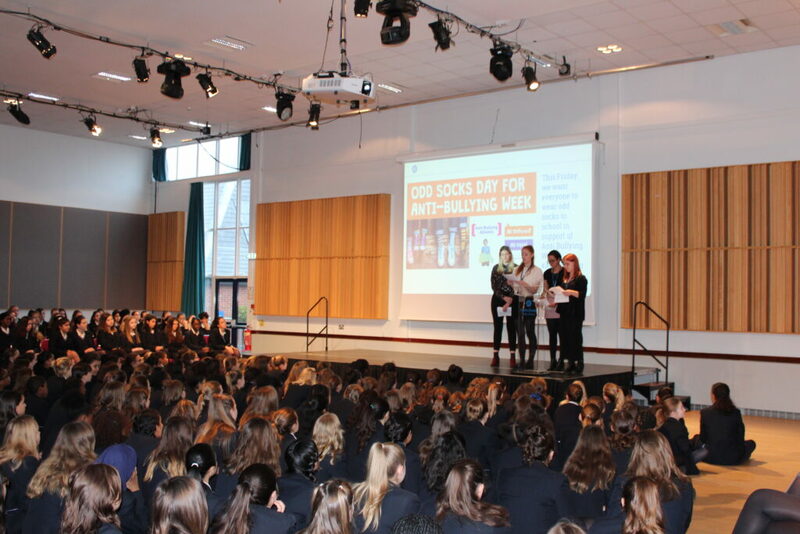 The week concluded with an Odd Socks Day: students and staff came to school in bold and bright odd socks to celebrate all being unique, all being different and all being equal.